SOUNDCAST will serve up exactly what your guests want to hear. They are professional musicians that take pride in their ability and the enjoyment they give others. With three distinct lead vocalists and a cooking rhythm section, you will love the diversity of styles this group can perform. Get your party rockin' with a band that simply makes folks feel good. SOUNDCAST employs a professional sound and light system, and a 2 man crew to run it, for every event. Mike Lull: Mike is a Bellevue native that enjoys his musical passion everyday as the sole proprietor of "Mike Lull's Guitar Works". As a luthier to the musical stars of the Puget Sound region, and across the globe, the pressures of his chosen trade demand perfection in both the repair and maintenance work he provides, as well as the custom instruments that he builds. Performing with friends and entertaining folks is Mike's personal outlet. He brings a special musicality to his bass playing and singing that can be described as forthright, soulful and groovular. Julie Lull: Julie, aka "secret weapon", possesses a wealth of talent most should not be allowed to have. She is a trained pianist, flautist, and guitarist that sings like a bird. As the vocal arranger Julie has an incredible ear for harmonies and phrasing. You'll be captivated by Julie as she alters between singing lead, playing keys and switching to guitar...all in the same song! Julie is all music, all the time. In addition to raising 4 boys, Julie is a private piano instructor in Bellevue. 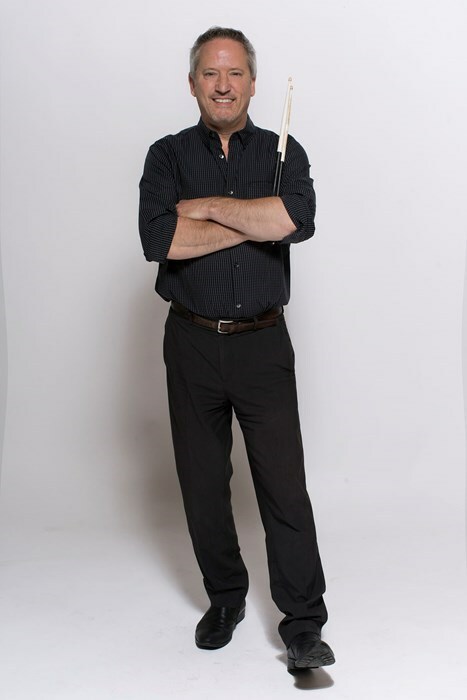 Scott Rongey: As percussionist and vocalist, Scott is the heartbeat. A dedicated master of his trade with an impeccable sense of time, and feel for the groove, Scott handles anything regardless of the style of music. Much of the versatility of Soundcast can be attributed to Scott's ability to capture the proper "feel" of each song, then add his personal signature of energy. Scott's day job as a successful mortgage broker never gets in the way of his desire to perform. To hear him play is something special. Any doubts? take a professional musician with you to listen. Then you'll know for sure. 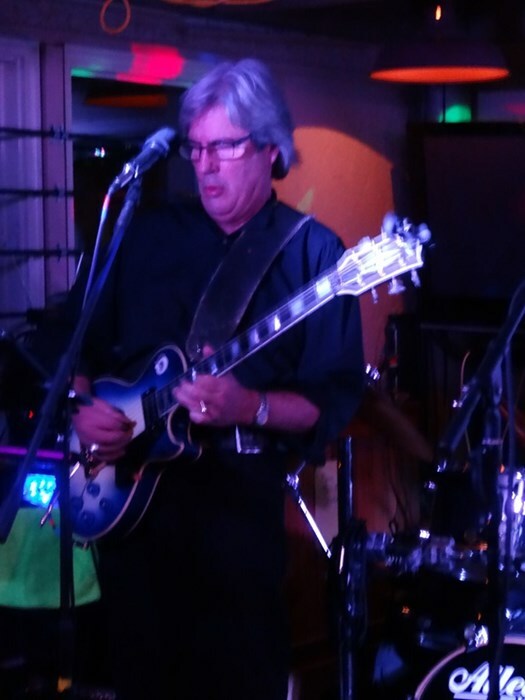 Bill MacDonad: Bill Is a Seattle/Eastside native that plied his trade as a guitarist, vocalist and band leader in several groups over the years prior to starting his real estate career. Having raised his family in Redmond he now has the time to dedicate to performing. "The joy of performing and entertaining folks never leaves you. It is so gratifying to be able to play with like minded professionals that have paid their dues. We were all 5 to 6 nights-a-week players back in the day, and it was sometimes a grind. Now we come and play one event and we always look forward to it." Soundcast arrived early and ready to play on time. No need for me to supervise anything. The music was great. They mostly played music of 60s & 70s genre (which was nice for people over 40+) but I believe they have a whole suitcase of music to play from. Professional & talented and easy to work with, , Soundcast was a good choice for us. Party ON! SOUNDCAST did a fine job for us. They are very professional, showing up on time and keeping their breaks short. They don’t drink. They perform a wide variety of music that is appealing to our broad-based clientele, mostly 60 and up, but some younger folks too. Their singing is especially good. We also appreciate SOUNDCAST because they are very polite, and supportive of our staff. I've received many compliments and requests to have them back soon, and I plan to do just that. Please note Soundcast will also travel to Bothell, Maple Valley, Kirkland, Bellevue, Kent, Medina, Renton, Ravensdale, Kenmore, Seattle, Snoqualmie Pass, Black Diamond, Auburn, Lynnwood, Enumclaw, Issaquah, Rollingbay, Seahurst, Indianola, Everett, Federal Way, Manchester, Pacific, Southworth, Burton, Mercer Island, South Colby, Fall City, Gorst, Keyport.